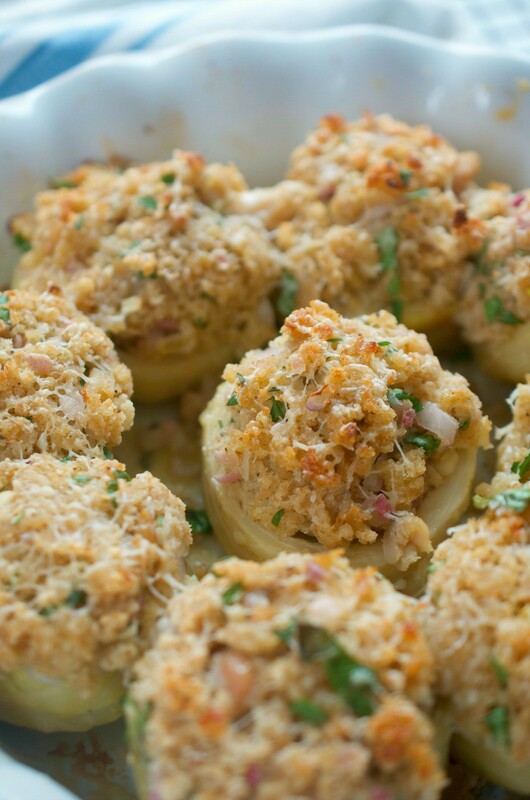 These stuffed artichoke bottoms are stuffed with parmesan, chopped clams, shallots and breadcrumbs. 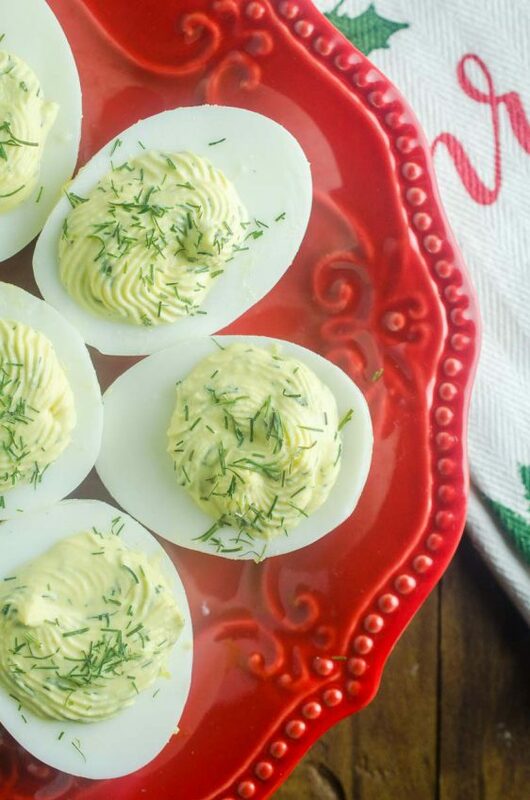 They are the perfect bite for holiday parties! I have been doing this whole blogging thing for quite some time now. A little over 8 years. During that time, nothing has changed more than the photography on this blog. 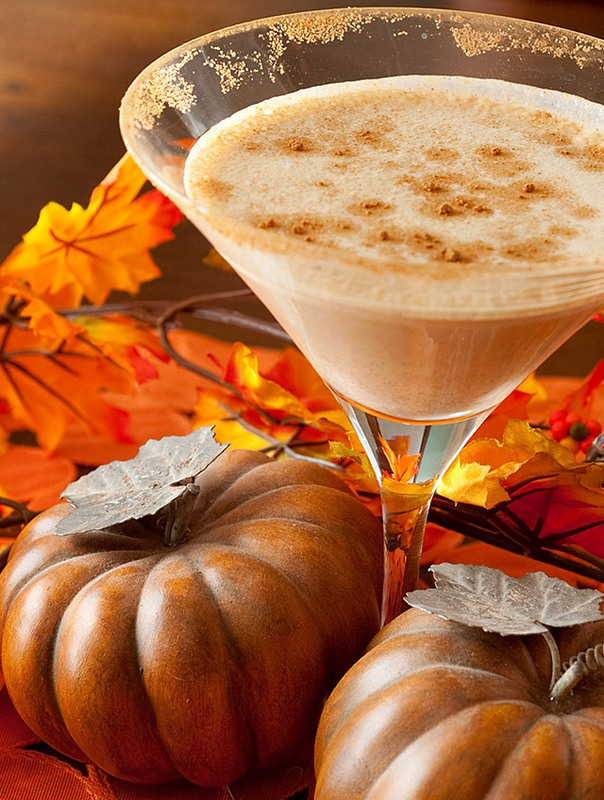 When we started out we had never done any kind of food photography photos before and boy did it show. As a result, every once in a while, I will go through old photos and think OH MY GOSH WHAT WAS I THINKING. These stuffed artichoke bottoms are the perfect example of that. Every time I looked at that old photo I thought, I have got to change it! I finally did and thought it was time to share this updated recipe and photo just in time for your Christmas and New Year’s parties! PS: I have deleted the old photo because…eww. I love artichokes but fresh ones can be a bear to prepare. I think this is why you often see artichoke heart recipes out there. But I’m here to tell you that artichoke bottoms are so much better. . They have the same texture as the heart but there are no leaves to deal with. It’s just the bottom of the artichoke and they are perfect little cups for filling, just like I did in these Stuffed Artichoke Bottoms. 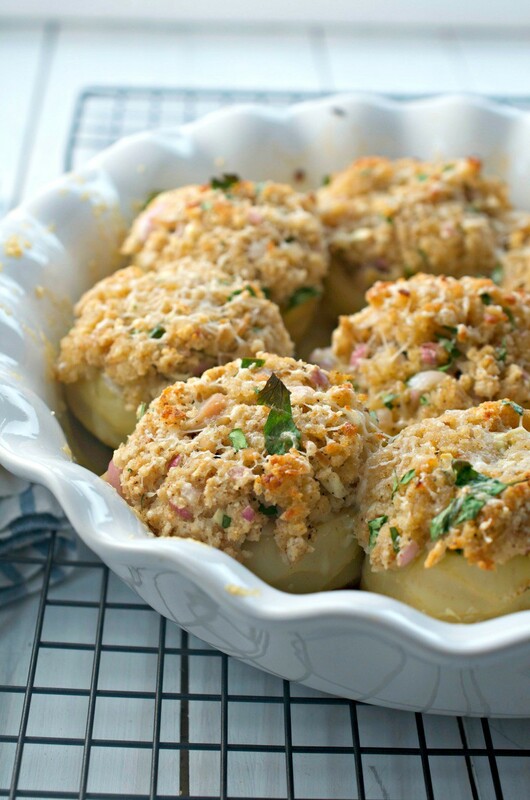 The stuffing I used for these bottoms is the same one that I use for stuffed mushrooms. 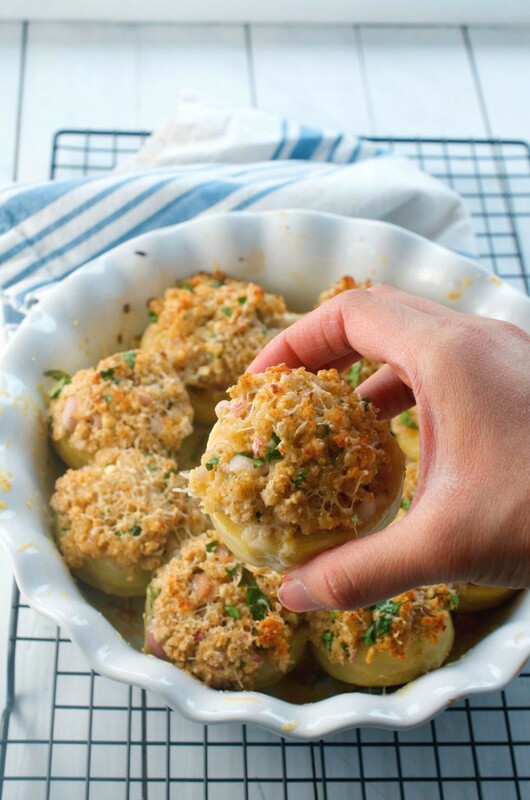 I just love the combo of the chopped clams, parmesan, shallots, garlic and bread crumbs. While the stuffing is great in mushrooms, using artichoke bottoms offers a really nice twist for this artichoke lover. 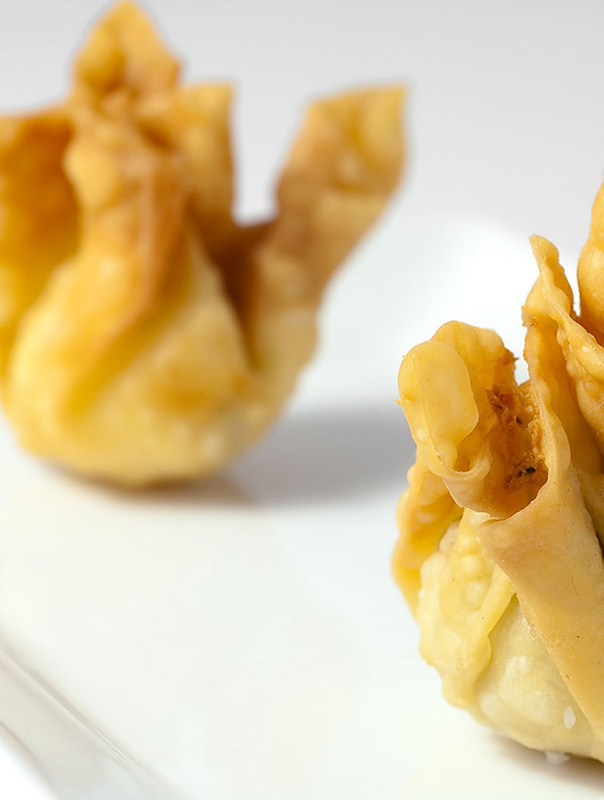 And they are the perfect one (or two) bite appetizers for your holiday parties. In a small bowl combine breadcrumbs, clams, 1/3 cup reserved clam juice, 1/4 cup Parmesan cheese, minced garlic, shallot, lemon juice, and salt and pepper. Mix to combine, mixture will be moist. If it appears too dry add a little more of the clam juice. In a baking pan, lay out the artichokes in a single layer. Fill the artichoke bottoms with the clam mixture, about a tablespoon for each bottom. Drizzle with extra virgin olive oil. Bake for 10 minutes. After ten minutes, remove from the oven, sprinkle with remaining Parmesan cheese. Turn your oven to broil and broil the stuffed artichoke bottoms for 5-6 minutes or until the stuffing starts to get golden brown. where can you get whole canned or frozen artichoke hearts? I’ve only seen them quartered. Hi Suzin, I have yet to find frozen artichoke bottoms, however I can usually find my canned artichoke bottoms on the shelf right next to the quartered artichoke hearts. I am not sure what grocery stores you have in your area but I have found them at Safeway, Fred Meyer and QFC here in Seattle. Hope this helps!